We were divided into groups of three, a senior with a batch-mate of mine. We decided to make wind sensor that would detect the speed at which the wind is blowing and use the data generated by it to give a graphical interface that fluctuates with variations in wind speeds. We were introduced to a java based programming application called “Processing”. Using which we can make simple programs. 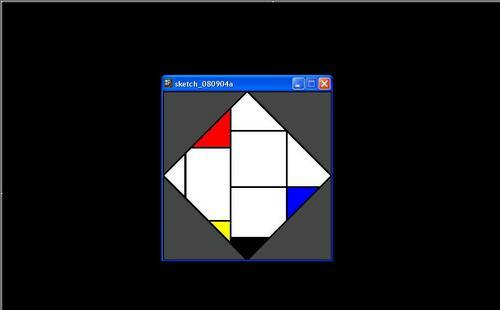 As a introductory exercise we were asked to recreate a Piet Mondrian painting. 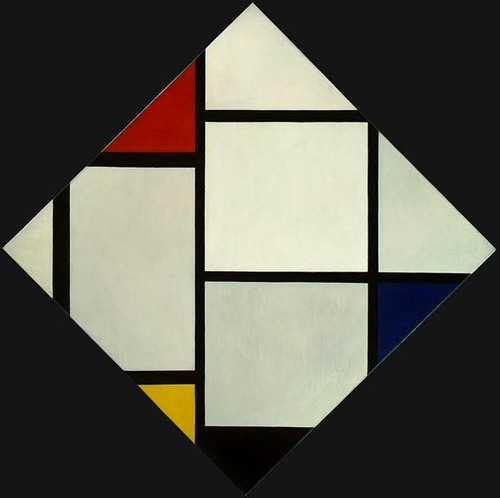 Since the painter primarily used lines and colors to make his art, it was easy for us to recreate his paintings using the code. This individual project was focused on a scenario in which using the various devices we were asked to formulate an interaction. I decided to develop a system that allowed people to keep track of miscellaneous items that they misplace and spend a ridiculously large time finding them. Later on we were asked to do the other ways i.e. allowing the computer to send out analog signals for a reverse interaction with the outside world. (The Key finder is one such device). Now the electronics were taken a step further and we were introduced to the Arduino chip- Arduino is a physical computing platform based on a simple I/O board and a development environment that implements the Processing/Wiring language. 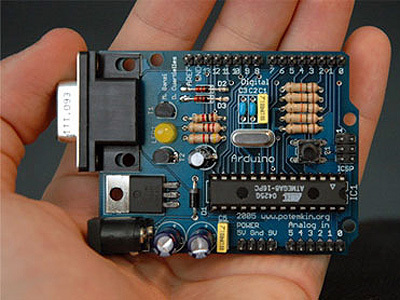 Arduino can be used to develop stand-alone interactive objects or can be connected to software running on a computer (e.g., Macromedia Flash, Processing, Max/MSP, Pure Data, SuperCollider). Currently shipping versions can be purchased pre-assembled; hardware design information is available for those who would like to assemble an Arduino by hand.